Research is showing family genetics is involved heavily in regard to this phenomenon of alien abductions. Investigators in obtaining knowledge have done studies from alien abductees. In my own situation my siblings are not abductees. The question was where and how did abductions enter into our life. Are humans just chosen at random? This could be possible if you are married to an abductee. I had many questions from the on start of our awakening. Through the years I began to hear about family genetics. Family genetics soon came to a head in our family as I had two members consult me privately about some weird happenings leading up to possible alien abductions within the scope of our large family. I could not fathom who in our familyâ€™s history would be holding and living with such a secret. Discussions with my brother prompt the need to conduct a family investigation. I strongly felt the involvement rose from our fatherâ€™s side of the family as our dad used to talk about this forest behind their home in Charlotte, North Carolina. The story was told many times during our life as we grew up. The story was always incomplete. The story he told was when he was a small boy until teen years walking into the thickness of the â€œwoodsâ€ with some of his brothers, witnessing some weird â€œstuffâ€, end of story. He would never let on â€œwhat was the weird stuff.â€ I wondered if there was anything valid towards abductions in his story. When telling us the story his face showed signs of fear. My brother felt this came from our motherâ€™s side of the family. Having three older maternal siblings who were still alive my bother confronted them. They being of Hispanic culture would not ever let out this knowledge if in fact it occurred. Hispanics are a very proud people and if anything like this did occur within the whole maternal family, it would be buried and not spoken of to anyone! To my surprise when my brother came back with a large smile on his face, stating to me, after he interviewed each one privately, bits and pieces of the story were revealed! So does that mean my motherâ€™s siblings and her aunt and the possibly my dad were abducted too by these Universal Beings? Did these Universal Beings bring my mother and father together in marriage for what purpose? Thatâ€™s a whole other subject here. My own private studies with alien/Milab clients this fact held true. Using hypnotherapy and an open unconscious mind revealed known knowledge within my clientâ€™s own families. Many of my clients had the knowledge at an early age of family genetics playing a role within their own families. Each client was asked to conduct their family investigations. Quite surprisingly to all of us I am able to say 100% family genetics are involved, discovered through verbal or written family dynamics that family genetics played a role not just in recent generations but past generations as some families beheld the written knowledge for many generations. Is this to say that alien abductions began in cave men days?? I believe so. Humans are inherently selfish, violent, intellectually myopic and deathly. Written history bears me out on these points. Fortunately, the number of people who acquired the knowledge and passion for spirituality, however labeled, have so far outnumbered the dim wits. As a species, we have lived only a short time in the history of The Earth. Estimates place the appearance of homo-erectus, who gave rise eventually to homo-sapiens, at approximately 15 – 25 thousand years ago. Given the age of The Universe at approximately 5 Billion years one can easily see what a minute fraction of time our existence represents. However, in that short period of time we have engaged in more destructive and irresponsible behaviors than any other known living organism, including those of a pathological nature. While certainly not the first, Bob Dylan and John Lennon, separately, represent fairly modern voices attempting to point out the obvious and to engender a much needed change in political, religious, cultural and spiritual perspectives. “Blowin’ In The Wind” lyrically could not have spelled it out more clearly. That was the 1960’s. In the 1970’s, Lennon took another stab at it with “Imagine” a very poignant yet simple presentation of the maladies of human thought played out on the world’s stage. Regretfully, we as Earth’s inhabitants paid scant attention. This is nothing new. We have listened and learned infrequently from the wisest amongst us as history has been kind enough to detail for us. The current widespread global terrorism and the relatively nascent involvement of the United States in actively opposing it are easily crafted to represent the very problematic behaviors and thought processes of humans. “How many times…” Dylan asked are we to see and not see or understand. The answer seems to be a staggering number that perhaps only Google can understand. While reeled in and attracted to stories and epics in the books we read and the films we watch, we do not seem to perceive that the fundamental themes are those we engage daily. Good vs Evil, Right vs Wrong, Life vs Death and so on. We pay ever increasing amounts of money to partake of these tales yet we still fail to make the connection between the message and reality. If we are to not simply survive but evolve as a species, if we are to outlast our zeal toward self annihilation and if we are to provide a better future for our offspring (as the trite phrase is so hypocritically espoused) we must change. We must seek out individually a spirituality which frees us from selfishness and hegemony. It matters not what its name is or what written/spoken sources serve as a basis and catalyst for this change; we must make the change. We can no longer keep our heads up our collective asses because we are suffocating. Basic reason, as defined by whichever philosophical or religious perspective you care to engage must allow us to elevate our minds intellectually and spiritually. We must also stop giving sustenance and support to persons or groups who are individually and collectively destroying us as a global people. We must eradicate xenophobia, hatred and biased perceptions of one another; we desparately need to craft a tolerance based on respect for the sanctity of life and its inseparable counterpart, natural (not violent) death. The overly reported “outrage” in the Muslim community when cartoonish caricatures were published is an example of the hypocrisy and farcical nature of humans. To devote not only time but actual resources describing the ire of a particular group who indeed would deny what is the right of any human on earth, freedom of speech and thought, is again selfish, self righteous and of no real consequence in the scheme of life. It also points to a profound intolerance by the Muslim community, who repeatedly asks the world for understanding and acceptance; they claim they are tolerant and peaceful yet the public response to any criticism is to make violent pronouncements of retaliation. This is but one example of human nature gone wrong. That the human community lends any degree of credence to their “rights” while suggesting restraint on the part of others points once again to the telltale hypocrisy of the human mind. Fear. Perceived Loss. Power. Control. This is what drives the response to the Muslim community at this time. Alas, the Muslims are but a recurrence in history and have taken center geopolitical stage for the time being. Historically, humans have been here before. Until people truly regard one another as valuable in their own individual right, we will never escape the entrapments of power and wealth. Until interdependence is nurtured globally we will as a planet of humans be forever enemies of the possessors of geographically strategic resources. Until we learn, for certainly it is not inherent nor instinctual in any person, a manner of thinking and acting which is more in harmony with global mutual benefit and stop completely the oppressive characteristics of personal and geographic hegemony and hedonism will we ever perceive a glimmer of hope for humanity. This will mandate a change in human thinking, particularly in Western or Industrialized societies, encouraging and perhaps demanding the active participation of all denizens in contributing to people, society and the world rather than allowing persons to continue running scams draining the very essence of our civilizations. Humans plunder at an amazing rate the very natural and man-mad resources so diligently and hard-won to which many have contributed. Rather than perceiving and judging societies and wealth as a haves and have nots framework the focus should be on the takers and givers, to lend a vernacular feel to this monologue. Civilization after civilization has proven the persistent trend in humans to self destruct. So sadly neither Lennon, Dylan nor I, for that matter, will ever see the “righting of humans.” We, as a people, are destined to ruin the very societies, bodies of knowledge, art and scientific achievements we work so hard to create. This Part #2 , shows an Alien bobbing its head and someone wiping its lips. Its face looks only slightly believable . I have never heard a description of a similar looking being from the many interviews I have done, but in this infinite universe everything is still very possible . An interesting group of fellows, they terrify some and fascinate others. Are they flesh and goo or soft metal ( organic robots )? They have been popping in and out of the scene at least since caveman days (cave drawings ). They seem to be the little helpers doing as some would say the dirty work. There are many times when other beings including humans are hanging on the sidelines. One abductee I was working with told me that in a struggle with a Grey she grabbed its eye cup ( something protecting their eyes ) and tore it off . But no normal human eye was there –just something which looked like an oscilloscope– and that action really pissed off the Grey being . For a period of about 20 years of discussions with abductees, my research roughly concluded that 5 to 10 % of the population had at least one visitation with the Grey Guys. They have been here for a long time, and the human challenge is to figure out if are they here for an evil agenda or maybe for the enhancement of a future human hybrid race. Please read Gloria’s excellent posts on this subject from her close -in –insight . I feel the meaning of an â€œAwakeningâ€ is that an understanding in a human beingâ€™s own conscious and unconscious mind has allowed information to come forth. In this phenomenon regarding Universal Beings who are abducting humans are in control of the human abducteeâ€™s (mind) memories and they (Universal Beings) pick the time that is appropriate to have these â€œAwakeningâ€ memories revealed to the abductee. An example of a human as a young child; young adult; or an older adult will experience the realization of awakening in an unfamiliar place perhaps lying on a table such as in a hospital operating room but with strange medical devices probing and invading his/her body. Feeling pain from these medical mistreatments while perhaps he/she is staring straight forward into some bright lights. If he/she can rotate their head within the scope of the bright lights they see strange looking creatures who are probing his/her body with these strange looking medical devices that come out of perhaps the ceiling. Seeing a small table located in the vicinity, holding other medical equipment that is soon to be used. 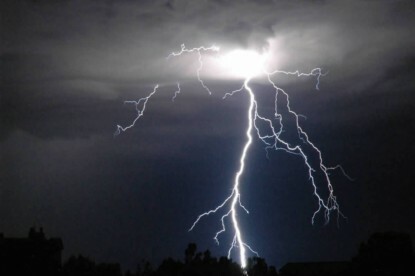 Your mind perhaps quickly goes into a shock as it is too much to comprehend as to what is occurring. Normally, through my research of guidance this scenario is the norm for an individual who is awaken and probed by a Universal Being called the â€œGreysâ€™â€. At first look is the large black almond shaped eyes, thenâ€¦ the pear shaped head. Next you see thin long arms â€œworkingâ€ on your body. To feel the strange touch of their skin and seeing strange appearing hands that behold only three long fingers seemingly with suction cups at the tips of these fingers. A child could grow into adulthood and his conscious mind may never reveal that this particular phenomenon has played a part in his/her life until this Universal Being feels it is safe to allow sometimes just only given memory. If abductions begin as an adult, as a norm the Universal Beings will eventually allow an â€œAwakeningâ€ memory to the fact that this particular human is an abductee. What I have found to be true, these Universal Beings normally will allow children to have complete memories right from the start of their abductions. Children are more open-minded within their knowledgeable minds to receive another new aspect of their life. Young children welcome their â€œnew friendsâ€ nightly as this new learning of different technology begins at an early age with perhaps human looking Universal Beings who take the child to a different kind of schoolroom abroad a mother ship. Thus the childâ€™s nightly â€œAwakeningsâ€ begin and as this child grows older, though it is not necessarily true that the childâ€™s memory maintains the awakening memory until perhaps the unconscious mind releases the memory itself, or through investigations of hypnotherapy. If the abductee has not experienced their â€œAwakeningâ€ and throughout their life as an example from childhood they are mesmerized say with the eyes of a grasshopper, or the grasshopper itself; how about horses eyes? The continued visual sudden flow of bits and pieces of unusual memories that seem to just come from no where within the mindâ€™s eye? This video, although it looks staged, carries some interesting confirming discussion, information I heard many years ago from several contactees and abductees in separate private sessions. We will present the series of alien interviews over the next several weeks , with comments . Welcome back to Gloriaâ€™s Corner! Reflecting back on not just my life but my familyâ€™s life since â€œOur Awakeningâ€ in 1988 and over the years like dominoes the affect of belief, disbelief; sanity, insanity; were questions raised by extended family and friends. Surprisingly many family and friends were more open-minded to the fact of this phenomenon than I. I myself felt insane for several years because of my â€œclosed mindednessâ€. My family and I did not choose this extraordinary life with all of its Universal Beings. We were chosen by family genetics. These Universal Beings entered into our life that night as we stood outside on a warm September night looking up in the darken sky at this unusual round object with a ring of lights around its center and a large white light located on the bottom side of this object. Seemingly as â€œtheyâ€ played some type of game with the three of us as we looked through binoculars. To have a second object arrive early in the morning brought on the questions of what type of experiment is Kirtland or Sandia Base performing? Little did I know at that time how our lives were to change in the following week after I mysteriously found myself seriously injured and bedridden. Over the years realizing how close-minded I was to the acceptance that we are not alone in the large vastness of the universe. My two open-minded children as young as they were accepted more so what was to come forth in the next days, months and years ahead of us. Six small gray looking creatures came through a permeating colored wall and what transpired next is still in question as to why the medical work done on my body in my own bedroom versus their ship? Not knowing why my body felt paralyzed and I could not get away from their touch as they worked on my injured legs, with one creature working on my head. My screams of terror did not wake up my sleeping children, as they did not come to my aid. These Universal Beings each with large pear shaped heads, large black almond eyes, slits for a mouth, seemingly two holes above the slit is their nostrils, noticing no ears located on their heads. To have felt the touch of their six long fingers upon my body, noticing their small long narrowed hands that are attached to two skinny arms protruding out of a small torso. Their thin legs seemed to have floated as they walked. 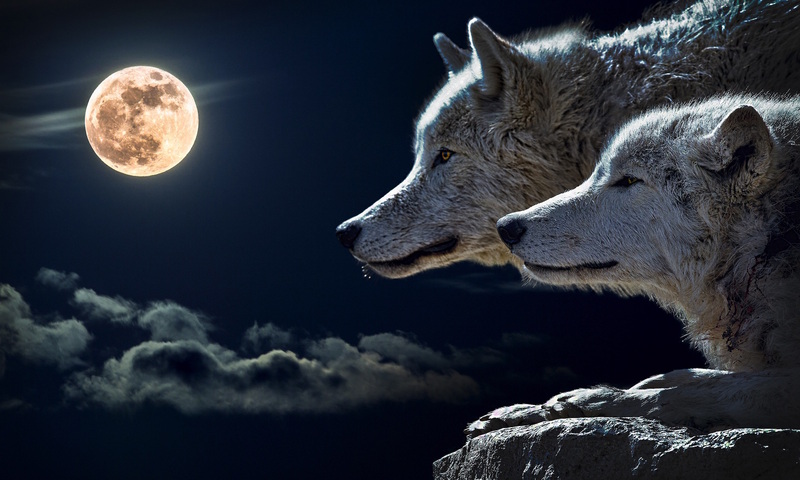 Realizing now in present time, why the one creature who went into my two childrenâ€™s bedrooms to do whatever to sleeping unaware children, is that these Universal Beings who are known as the â€œGreyâ€™sâ€ had been unknowingly in our lives for sometime prior to our â€œAwakeningâ€. Through hypnotherapy I learned these Greyâ€™s were in my life as a small child. My siblings are not affected by this phenomenon. Over time, my husband began sharing his life as an abductee as well. This is just the beginning of many abductions that we or I have lived though over the many years. My first Post will be about the Artists of the Cosmos or as some call them Circle Makers. How many years have these beautiful works of art have been gracing our planet, dozens, hundreds, I believe a thousand years or more. When I lived in Atlanta I had the opportunity to meet and talk with a man named Colin Andrews, Mr. 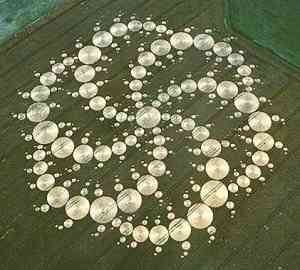 Crop Circle. a humble but impressive man , who had a great passion for this mystery of our times. Colin told our group of excited UFO fans,â€ this was an amazing phenomena, but he didnâ€™t know who made them or why the circles were created.â€ That was 20 years ago, as he showed these incredible photos of the circles and most then were circles. Now they come in all shapes and sizes . But they still project the story. As I first looked at the circles, Colin presented on the screen, my mind started to swim, in delight as I realized they, the Circle Makers were telling me something without words, they was conveying powerful and profound feelings. They were turning things on in my mind. I had seen the Truth. WE Are Not Alone, we have never been alone. And we will never be alone. Thank you for stopping by and visiting in my corner of the world. I believe you would not have stopped by if you were not interested in this particular topic of UFO phenomenon which includes alien and military abductions. I am honored to have been asked to be able to reach out to the populace of the world hoping to help you find the truth. If I cannot answer your questions on a particular subject within this phenomenon I will certainly work hard to find a truthful answer. I feel that I am quite versed with knowledge in the area of alien and military abductions since my true experiences began in 1988. In my â€œCornerâ€ of this website I will strive to only answer truthful and correct questions, so be as sincere, truthful and honest with your questions or knowledge with your e-mails or written â€œsnail mailâ€ letters. My personal feelings are that seemingly in workshops, conferences within this phenomenon the human who is experiencing alien/military abductions are completely disregarded and left without any helpful â€œconfirmingâ€ answers to where or what is happening to the alien/military abductee. If there are certain topics on this phenomenon that you would like discussed please let me know. If you would like to share your experienced abductions, visual sighting, photos, drawn pictures or knowledge I welcome you to share amongst us. At the beginning of each month I will discuss new topics within the alien abduction experiences or what may be the most important topic that I receive. Whatever your personal stance or knowledge is in regard to if you are â€œopened mindedâ€ or â€œclose mindedâ€ in this phenomenon or just an interested person within this field who would like to gain true knowledge. I was very close minded and lived most of my life believing that extraterrestrial life did not exist. My bizarre and extraordinary experiences with the various aliens began on the night of September 1988. Two of my children and I witnessed an event that would turn our lives upside down and inside-out forever. That night was the beginning of years of fear, anxiety, feelings of insanity. I kept my hellish secret through numerous abductions by these extraterrestrials. Not until 1993 I came to accept the existence of these extraterrestrial beings who share the universe with us. 1996 brought forth a new and different kind of abductions. This source came from within the United States Military and Government. I too needed answers to what was happening in my life and finally sought out help. The help came from top people in this phenomenon. The many gifts of love that were given to me from these people and thus being introduced to many alien/military abductees brought forth this new life and learned knowledge. I felt in return of the daily gifts of love through their knowledge I returned these gifts to help other abductees who were living a â€œSecret Lifeâ€ such as I was. In this, â€œMorning Glory Diary of an Alien Abducteeâ€ was published. I have received many letters over the years conveying their gratitude. I also welcome you to read my bio. You may contact me through this website with questions, topics you would like discussed, and your knowledge on this phenomenon at:Gloria@truthseekerforum.com 1998 I became a Certified Hypnotherapist guiding alien/military abductees to their truth. Finding through the many clients there is no diversity of whose lives are affected by this phenomenon. I dare you to read my â€œSecret Lifeâ€ story. This a amazing National Lab employs over 9,000 people and a place where anything goes. Was the first crashed alien being examined there, lived there and die there 1947 thru 1950 or so. ,, maybe….????? The Truth is it out there ??? ?